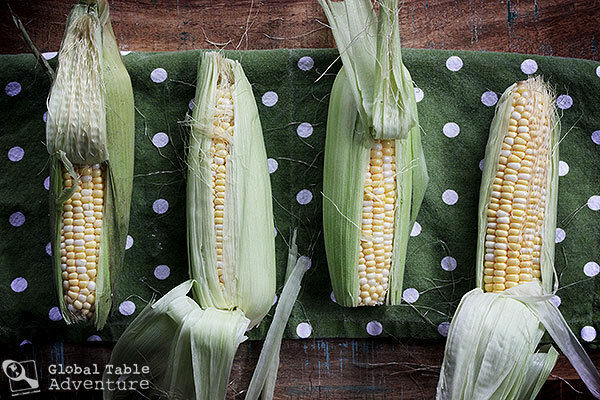 When I was a little girl, I’d sit on the back porch and shuck long ears of corn, the silk wrapping around my fingers, clinging to my dress, and falling onto my shoes. Similar scenes can be found throughout southern Somalia, where men, women, and children pull together to harvest their corn. And, eventually, to grind it in wide, stone bowls, to make porridge. If the kernels don’t get ground, the whole cobs might be dressed up in curried coconut milk in a dish called Galey iyo Qumbo. 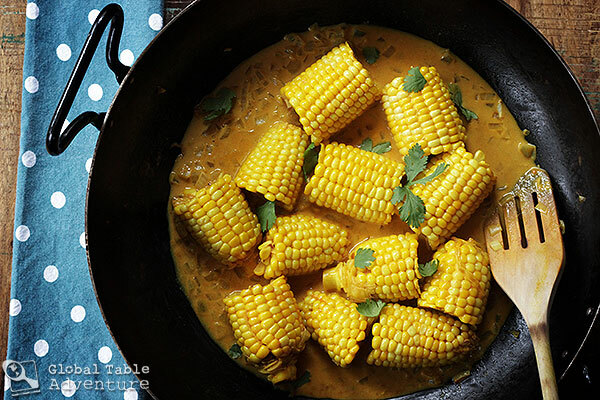 It seemed to me, with the edge of winter still upon us, that whole corn, richly coated in spiced coconut milk, would be just the trick to get our family out of our vegetable slump. There’s just not that much that looks good at the market – the brussel sprouts are on their way out and the artichokes don’t quite look right. Not yet. So corn. With coconut milk. From Somalia. 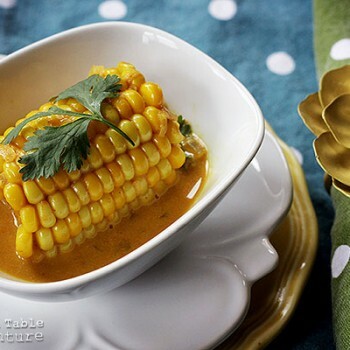 In this recipe, ears of corn simmer in a bubbling mixture of salted coconut milk, tomato sauce (just enough for a bit of acidity), sweet onion, and turmeric. The result is creamy and exotic, but not spicy. For those brave souls, a punch of heat could easily be injected with a couple of thai bird chilies, chopped and strewn into the golden sauce. By the way, the tomato sauce is a reflection of the Italian influence in Somalia… such fun! And speaking of the sauce, get out your napkins. Everything about this sauce is finger-lickin’. If you’re lucky, the bright, yellow marks on your skin will come off easily. P.S. It occurs to me that this recipe just might be amazing in a crockpot. Nothing gets browned or fried. Just cook until those onions are tender. I’ve not tried it myself, so who knows… but surely one of you is a whiz at the crock pot and can let us know your thoughts? 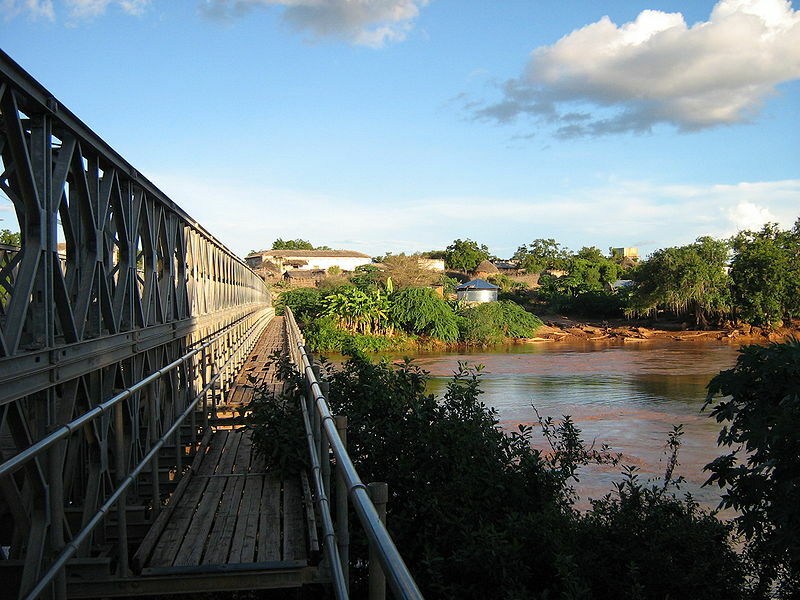 Take a walk through Somalia and find a sunny spot to make dinner. Take a deep breath as you listen to the water’s murmurings. Once settled in, peel and cut your corn into desired serving sizes. Add the golden hunks to a pot with coconut milk, chopped onion, tomato sauce, turmeric, and salt. Cover and simmer for about thirty minutes, or until the onion and corn are cooked through. 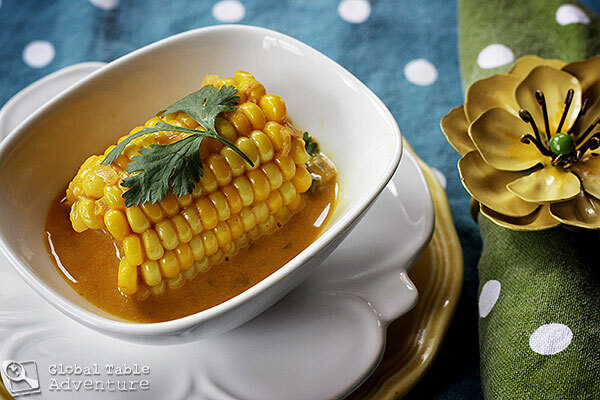 Be sure to stir frequently to get all the corn submerged in the spiced coconut milk. Serve hot with a bit of the sauce. Nibble with a napkin, an appetite, and a smiling friend. Add the the coren to a pot with coconut milk, chopped onion, tomato sauce, turmeric, and salt. It occurs to me that this recipe just might be amazing in a crockpot. Nothing gets browned or fried. Just cook until those onions are tender. So, is the sauce yummy enough to ladle onto some rice? 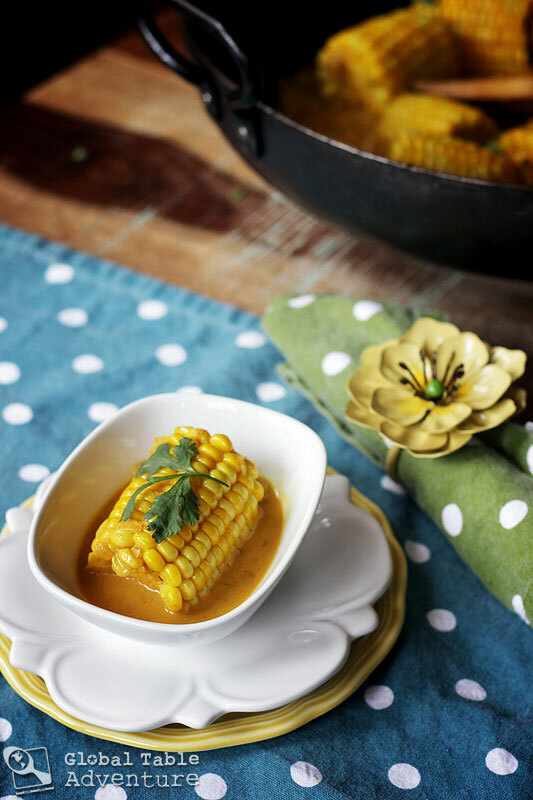 For a second day use could you take the corn off the cob and stir it into the sauce with a protein? I’m a single girl and always on the lookout for a way to use my leftovers creatively. We don’t see fresh corn here (in California) until summer. Where did you find yours? Whole Foods has it… and to be honest, I’m not sure why. I really didn’t think I’d find any. I expected to have to use frozen kernels (not nearly as beautiful of a dish, in that case, but still tasty, I’m sure). What a great and refreshing dish. 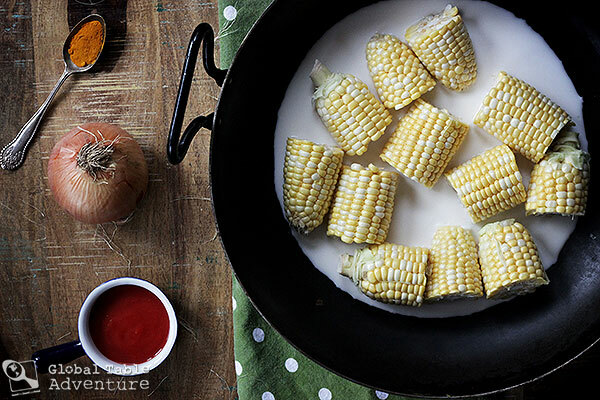 I am always looking for new ways to use corn and never have I ever thought of using it this way. What a great idea. Thanks for sharing. P.S. Absolutely in love with your photos!